The “Littlest Pistol” has arrived! 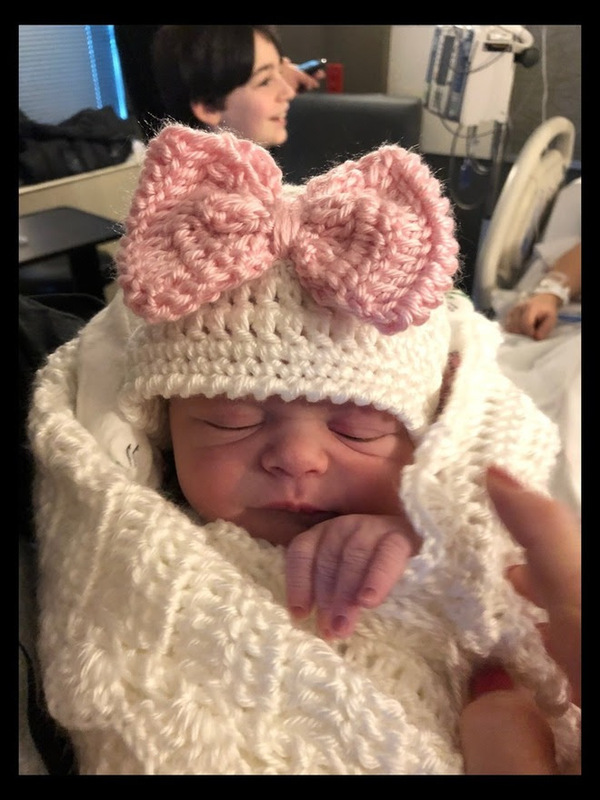 Angaleena Presley and her husband, Jordan Powell, welcomed daughter Phoenix Joeleena Jean Powell on Tuesday, January 22, 2019. Weighing in at 7.8 lbs., and measuring 17.5 inches, Phoenix made her debut at 7:49 a.m. CST. As first revealed exclusively by People magazine, the family is doing well and completely in love with their new addition. I’m so glad to add this strong female to our family. She is tiny but she is fierce. Jordan and [my son] Jed are both by her side and head over heels,” says Angaleena. The baby’s name is especially meaningful, as it merges family monikers with homages to both a beloved matriarch and a late friend. Phoenix seems to have inherited her mom’s love of music. Hours before she was born, the soon-to-arrive baby was soothed by the melodies of two country music icons who hail from her mom and dad’s respective home states, Kentucky and Texas. After Tony Joe passed away in October and we decided to name her Joeleena, three different times during the last couple months we would try and get Phoenix to move or kick if she hadn’t done it in a day or so. All three times, nothing we tried seemed to work until I came up and played Tony Joe’s ‘Polk Salad Annie’ and she would start kicking and dancing and rocking out. Every time. He was either looking down on us or his groove was that infectious. Maybe both,” adds the proud new dad. This is Angaleena’s second child, but her first with Jordan, whom she married in 2012. Jed, her son from a previous relationship, is 12 years old. It’s been a busy year for the Bluegrass State native, whose “heroic” (NPR, Ken Tucker) sophomore album Wrangled bowed in 2017 to critical acclaim. Last year, she traveled to the UK to perform at London’s The Long Road Festival, and returned to the studio to cut Pistol Annies’ third album, Interstate Gospel, which debuted at No. 1 on the Billboard Top Country Albums chart in November.